Tele2 and Telenor launched LTE (Long-Term Evolution) services on Monday in Sweden, with pricing that undercuts TeliaSonera's existing service. 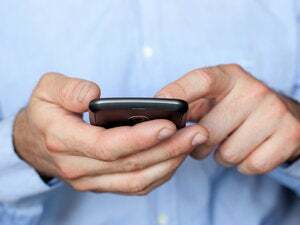 That pricing pattern is likely to repeat as operators all over the world start rolling out the next-generation mobile network technology, according to market research company Infonetics. Limited coverage and a lack of different devices to choose from will leave operators with little besides pricing to differentiate themselves from the competition in mobile broadband using LTE, according to Richard Webb, directing analyst at Infonetics. However, operators will try to avoid getting into a really fierce price war, Webb said. Last year, TeliaSonera became the first operator in the world to launch an LTE-based mobile broadband service, and now it charges approximately US$87. Tele2 charges about $73 per month LTE. Subscribers who sign up for an 18-month contract will get a free USB modem and the monthly fee will be discounted to about $43 for the first year. Telenor's LTE subscription costs approximately $80 per month. Again, users can save some money by signing a contract. Telenor offers the first six months for free and includes a modem for users who sign a two-year contract. Tele2 and Telenor are also offering unlimited data, compared to TeliaSonera, which caps data at 30GB per month. After that, TeliaSonera's subscribers can buy more data or settle for 120k bps (bits per second). Besides offering discounts when signing contracts, operators will offer various ways to reward existing customers, according to Webb. For example, TeliaSonera's existing fixed broadband customers get a $15 discount on their LTE plan, according to its website. However, a pilot shows that LTE is fast enough to work as an alternative to ADSL, according to Tele2. At first, users should expect speeds between 20M bps and 40M bps, and up to 80M bps "under very favorable circumstances," according to Telenor. Telenor and Tele2 are sharing the same network LTE. They are also using the same modem: Huawei's E398, which besides LTE can access the Internet using HSPA+ (High-Speed Packet Access) at up to 21M bps, and a software upgrade can increase that speed to 42M bps, a spokesman at Telenor said. As LTE matures, operators will start using other ways to compete, including quality-of-service, speed, coverage and exclusive devices, according to Webb.